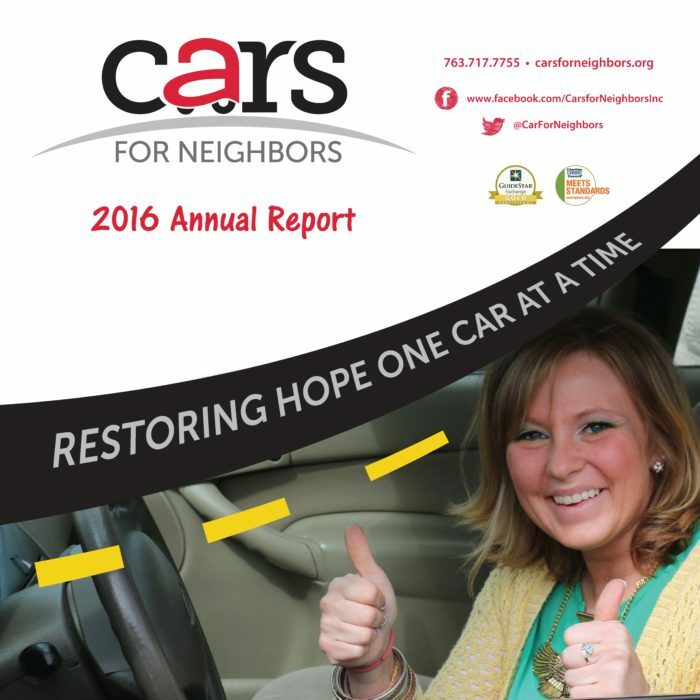 Cars for Neighbors was founded in 1999 and incorporated in 2000 under the name Free to Be. Located in Anoka County, MN, Cars for Neighbors is a nonprofit organization that provides assistance to families seeking economic self-sufficiency. We aim to reduce transportation barriers by providing car repair services to neighbors with lower incomes. Our goal is to restore hope one car at a time. Click on the image below to view our Annual Report.